Wormax.io | Play Wormax.io free on iogames.space! 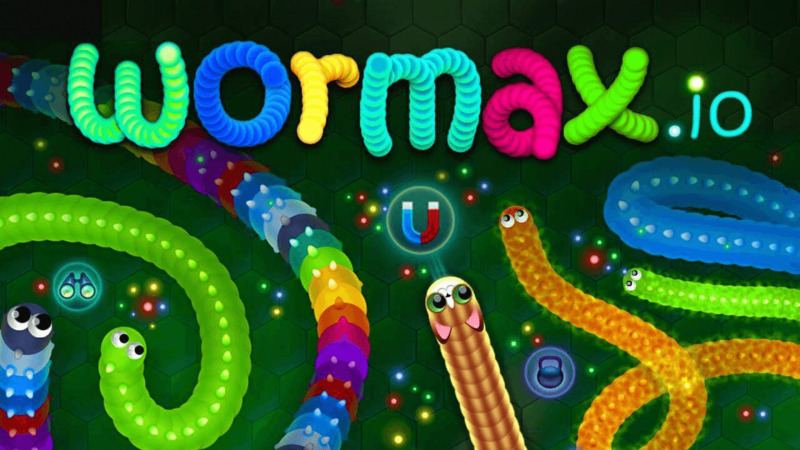 Wormax is another awesome Slither like io game, you start off as a small snake and aim to get bigger through eating food. One of the biggest disguishing features in Wormax however is the power ups which we’ll discuss in more detail below! If you’ve played any other Slither based games you should know the basics by now, you start small and aim to get big whilst asserting your snake dominance by killing other worms bigger or smaller than yourself. As I touched on briefly before one of the coolest features is the addition of cool powers ups, there are several to be found and used to your advantage around the map such as invisibility! I know I promised more detail but I think its better that I leave you with that little hint and let you discover the rest for yourself, good luck and have fun!